Get a FREE antenna when you buy a TYT MD-9600! We're still celebrating our all new Buy Two Way Radios website with another freebie offer, and this one is a real DMR deal. From now until July 31, 2018, Get a FREE antenna when you buy a TYT-MD-9600 Dual Band DMR Digital Mobile Radio! 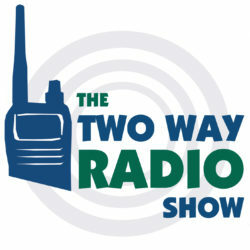 The TYT MD-9600 is one of the hottest new DMR radios around, and the firstdual band digital mobile radio on the market. Now it's also a great buy, because For a limited time, you can get a FREE mobile magnet mount antenna with the purchase of a TYT MD-9600! The Tram 1185 Amateur Dual-Band Magnet Antenna is our best selling antennas and pairs well with most dual band amateur radios, including the MD-9600. It is tuned for 144-148 and 440-450MHz amateur radio frequencies with 2.5 dBd gain on UHF and Unity gain VHF. It comes with a 3 1/4" magnet mount and a 12 ft premium 95% tinned copper shield RG58 A/U cable with a UHF male (PL-259) connector. Tram 1185 Amateur Dual-Band Magnet Antenna sells for $19.99, but for a limited time, this item is included FREE with the purchase of an TYT MD-9600! No promo code is necessary. Your free antenna with mag mount will automatically be added to your order at the time of purchase. Remember, this is a limited time offer, and it's only available until July 31, 2018 or until we run out of antennas and/or radios. No rain checks. This entry was posted in Special Offers, Tytera and tagged DMR, digital radio, free antenna, Tram 1185, TYT MD-9600 on July 30, 2018 by Rick. Wouxun KG-D901 DMR value kit holiday special! Think the holiday deals are done? At Buy Two Way Radios, they're just getting started! The Wouxun KG-D901 DMR Digital Radio Value Kit is here, and it's a special you don't want to miss. The DMR Digital Radio Value Kit is a great gift for the ham who wants to go digital without giving up their access to analog. It's also a good starter for new hams who are just getting getting into DMR on a budget. This kit has everything you need to do DMR and take it portable or mobile. The Wouxun KG-D901 DMR Digital Portable Two Way Radio - This is the first digital radio from Wouxun and operates on 400-470MHz UHF frequencies at up to 5 watts. It lets you switch from analog to digital with one press of a button. The D901 is compatible with MOTO TRBO series Tier I and II using standard encryption. Two Lithium-ion Battery Packs - The D901 comes standard with a 2000 mAh Lithium-Ion rechargeable battery pack, plus a second battery pack for extra uptime. Battery Eliminator - Power your KG-D901 radio in your vehicle for mobile DMR operation. Wouxun Mobile Style Speaker Microphone - This heavy duty speaker mic with 20" coiled cord lets you operate your radio from your hip or at your dash, just like a mobile. Genuine Leather Wouxun Case - Carry your radio with protection while out and about. Nagoya RB-CLP-S (SMA) Window Mount - Turn your handheld D901 into a full fledged mobile radio! This handy mount lets you place your antenna outside your vehicle while you operate your D901 from inside! XLT EB120 (K1) Earbud with PTT Microphone - This comfortable, lightweight earpiece fits in your left or right ear and has an in-line a Push-to-talk (PTT) microphone for quick communication. Wouxun USB Programming Cable (PCO-001) - Program your D901 directly from a PC. If purchased separately, the entire kit would cost $259. Our special holiday price is only $199.99. The Wouxun KG-D901 DMR Digital Radio Value Kit is available in limited quantity for this one time holiday special and is available only while supplies last. This entry was posted in Special Offers and tagged DMR, KG-D901, digital radio, value kit, starter kit on December 7, 2016 by Rick.